Along with the logistical challenges of finding housing, schooling, childcare, a move abroad also brings with it cultural challenges, primarily maintaining your child’s native language(s) and preserving traditions from your family’s home country. With a reputation for multicultural acceptance—Amsterdam is officially the most international city in the world with 178 different cultures represented—the Netherlands is a good place to embrace bilingualism or multilingualism but in some cases it does require a bit of effort. Every family is different, of course, and as such may face different challenges. It may be the case that one partner is Dutch and the other speaks a language other than Dutch. If the child is going to a Dutch daycare or school, over time it is likely that Dutch will become the dominant language. In other cases, both parents may speak the same non-Dutch language. Typically, children who speak one language in the home and another language outside of it tend to be equally strong in each language. Of course, there are those trilingual families, in which each parent speaks their own language to the child (OPOL) and the child speaks Dutch at school and/or outside the home. There are other variations but these scenarios are the most common. In our experience of matching babysitters and families by culture and language, we have daily experience of supporting language development. Below are a few tips and words of encouragement. For parents with children who are not yet school age, playgroups and playdates with other families who speak your language are an ideal option but where to begin when you’ve just moved house and have yet to build up a social network? In Amsterdam, the Robbeburg playgroup in the Rivierenbuurt neighborhood offers sessions in English, German and Finnish. If your language isn’t represented, you can volunteer to host a session and the Robbeburg will help you find other families to join. International playgroups are also a great way to find friends in a new place, for both parent and child. Beyond giving you time to work or granting that all-important free time, hiring a caregiver who speaks your native language presents your child with the opportunity to speak this language with another adult who isn’t mom or dad. This can be especially important in homes with one Dutch speaker as some children will begin speaking Dutch exclusively in the home, even when spoken to in a different language. It also helps if the caregiver does not speak Dutch, which requires the child to speak in your native language in order to communicate. In addition to giving your child more opportunity to hear and speak your language, hiring a babysitter who shares you culture also exposes your child to the songs and games you grew up with, helping to preserve the home culture. Going back home for break is a great way to immerse your child in your language and traditions, and family love. Language acquisition and development is most successful when it happens in a natural, engaging manner. And what’s better than coming home to a rockstar welcome? The Netherlands differs from other European countries such as Spain, Italy and Germany in that it does not dub over films (save for young children’s movies) and television programs, using Dutch subtitles instead. Cruising through a typical Dutch TV package, you will find content in English, German and French. Many a Dutch person will say they perfected their English or German by watching TV and films growing up. Music, books and educational apps are another fun and natural way to support language usage. By now, the cognitive and developmental benefits of speaking more than one language have been well established, but as we live in an increasingly global environment, it is also a practical gift. Becoming bilingual or multilingual is a long-term, and at times seemingly slow process. If you hit a bump in the road (your child speaks only in the dominant language, you feel like an outsider speaking your native language, etc. ), keep going and maintain a positive attitude. In this technological day and age, there are a host of online support groups and resources. 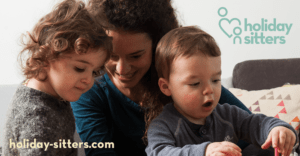 Raising Bilingual/Multilingual Children is a popular Facebook group that has members from all over the world that offers a host of useful advice and support. Don’t be deterred. Your child will thank you for it (eventually and in your mother tongue). Connect with locals through gaming!